The Tamworth Regional Astronomy Club Inc is delighted to have been accepted by Tamworth Regional Council as a Section 355 Committee and allocated a portion of land via a lease arrangement at Victoria Park in the Tamworth Botanic Gardens precinct to establish the Astronomy and Science Education Centre (AASEC) complex which will house the Club's collection of large telescopes (see below for further details) and serve as the location for TRAC meetings and events. In April 2018, Council secured a grant from the NSW Government of $1.8 million towards the construction of the AASEC complex buildings. The Club's media release welcoming the funding for this amazing facility is available here. Media coverage of the funding announcement is available at The Northern Daily Leader, Prime7 News and NBN News. The Club is now raising funds to assist with the fit-out of the AASEC facilities to ensure the complex reaches its full potential as an educational, scientific and major regional tourism attraction. If you can assist, please click the Donate Now! button above. 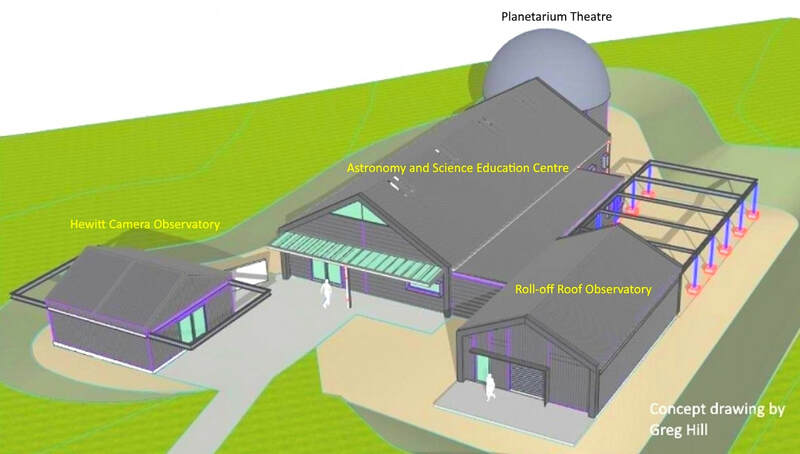 The Centre will include the AASEC building which will provide a large meeting/conference room and interactive display area, a roll-off roof observatory to house the 36 inch Jos Roberts Telescope, an observatory for the 34 inch Hewitt Camera and a planetarium theatre as shown in the concept drawings below. 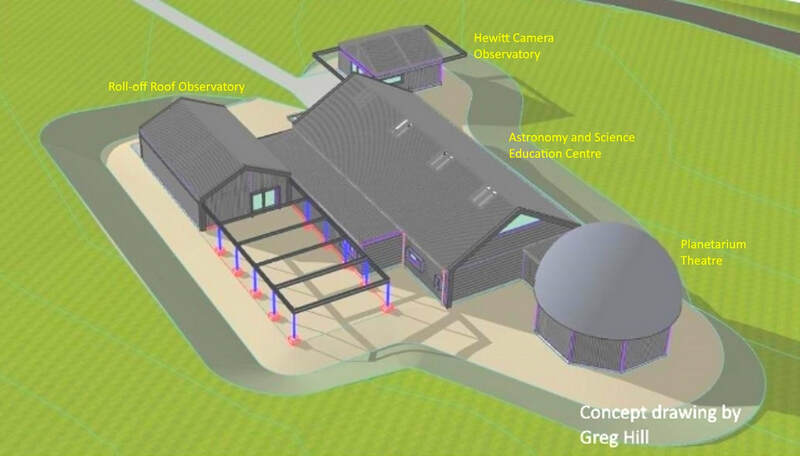 The Centre will provide an important base for the Club's regular meetings, public observing nights, open days, educational activities, conferences, inter-club amateur astronomy gatherings and a host of related events. The convenient location of the Centre on the north-eastern edge of Tamworth will enable interested people, young and old, to learn more about the fascinating science of astronomy and view and photograph the wonders of the heavens directly though large telescopes. As we say at TRAC - "The sky is the limit!" 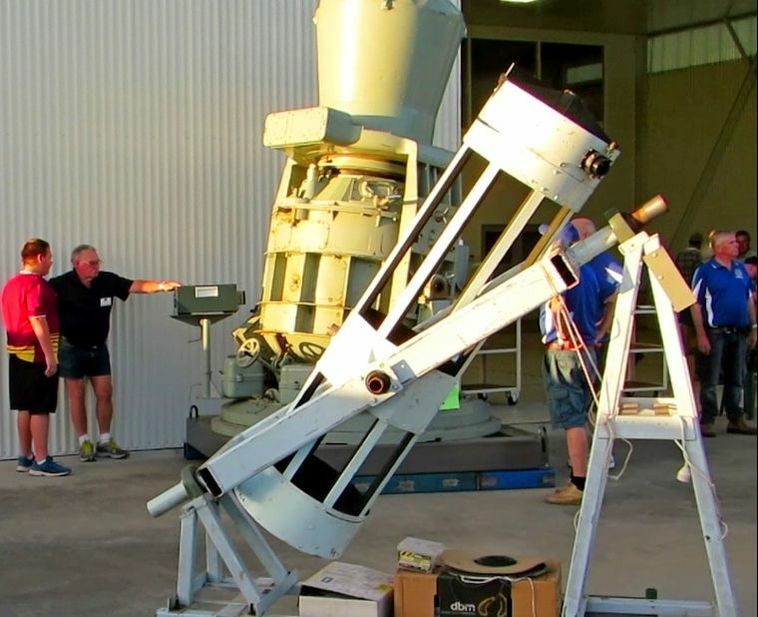 The Tamworth Regional Astronomy Club is indeed fortunate to be the owner of the magnificent Jos Roberts Telescope, a 36 inch, F4.9 folded Newtonian reflector on a Dobsonian mount. 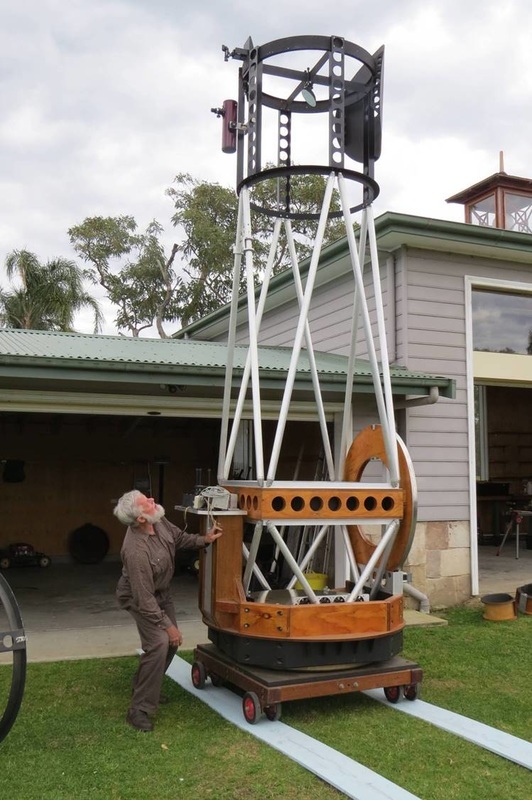 This towering instrument, one of the biggest 'portable' telescopes in Australia, was acquired in 2015 by Warwick and Margie Schofield and donated to the Club. 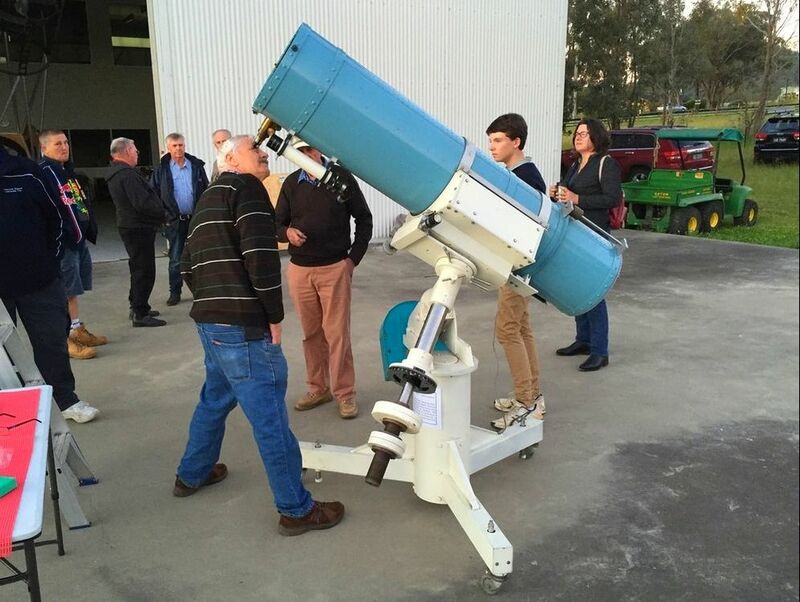 Warwick and Margie purchased the telescope from Mr Jos Roberts who constructed the instrument and their generous donation has equipped TRAC with a telescope which has enormous potential to generate a wide interest in astronomy across the region. The Jos Roberts Telescope will be in regular use on public viewing nights at the Victoria Park Roll-off Roof Observatory. Below are a few photos of this amazing telescope. In November 2016, the Club acquired the 34 inch Hewitt Camera. It is one of only two such Schmidt cameras built in 1962 as part of a multi-million pound British Government project to photograph earth orbiting satellites. It had been designed originally by Joseph Hewitt to photograph the British Blue Streak Rockets on test in Australia in the 1950s. The camera weighs 8½ tonnes and features a Grubb Parsons 34 inch mirror and correcting lens. The Hewitt’s twin is housed on display in the Science Centre at the former Royal Greenwich Observatory. The Hewitt Camera project to make the two camera/telescopes is believed to have cost some GBP £5.5 million. The Club has also been donated the 13 inch Robert Barnett Rigel Telescope. Built by the late Robert Barnett (an electronics engineer contracted to the British Defence Department) the telescope has a heavy German equatorial mount and is beautifully engineered. The primary mirror is likely a Grubb Parsons which for many years was one of the finest of optical engineering companies in the UK. We are extremely grateful to the Barnett family for their generous donation of this precision instrument to the Club. The owner of Lowe Observatory, Mr Lindsay Lowe, has generously donated a 16 inch, F5 Newtonian telescope to TRAC. This telescope, which Lindsay used for many years in his private backyard observatory, will be updated and installed at the Astronomy & Science Education Centre complex at Victoria Park. A sincere thank you to Lindsay for his generous donation to the Club. The telescope is currently undergoing a rebuild and is nearing completion. 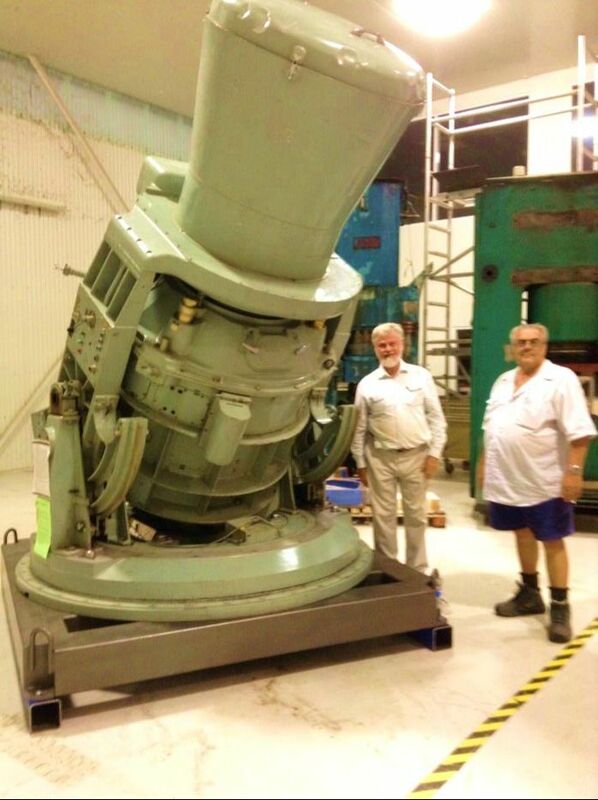 ​TRAC member Ian Hynes (far right) has donated a 10 inch Meade LX200 Schmidt Cassegrain telescope to the Club. This high quality goto computer controlled instrument is an excellent telescope for both visual use and astro-imaging and is an important addition to the Club's collection of telescopes. Thank you Ian for your wonderful donation. 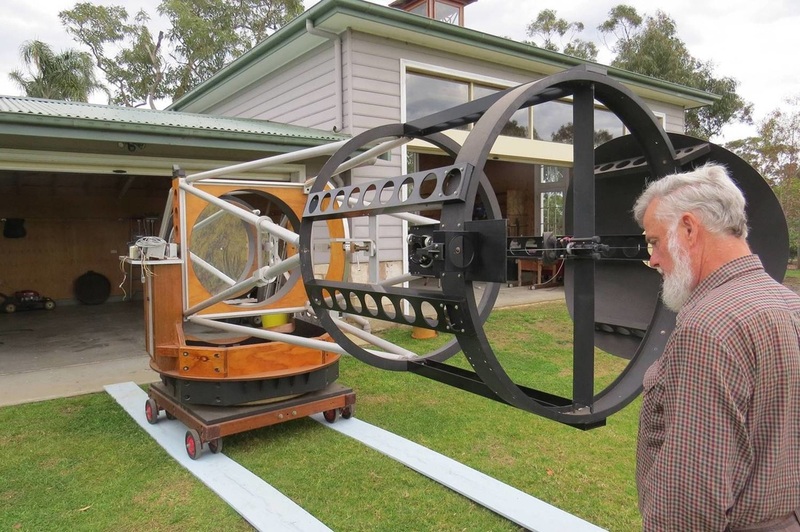 A sincere thank you also to TRAC member Stephen Carter who constructed the professionally built mobile trolley to match the build quality of the telescope and to make the instrument easily transportable.